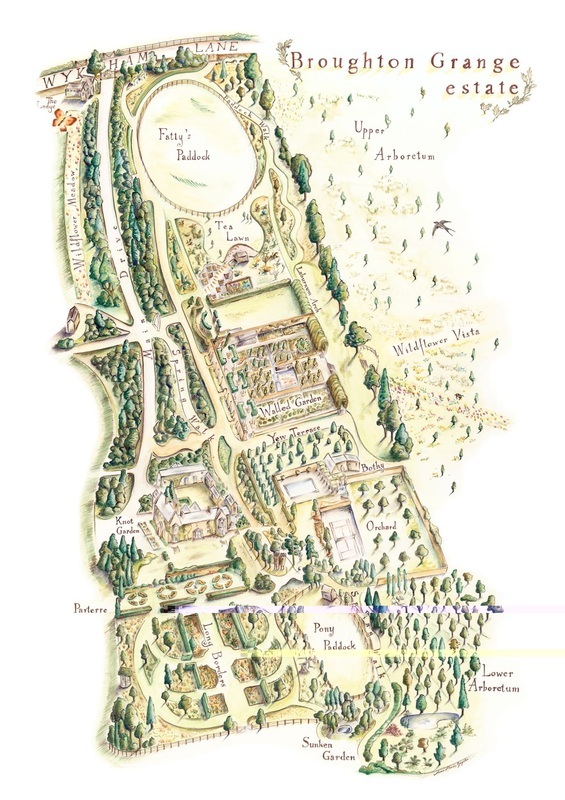 A map of the gardens created for the good folks at Broughton Grange Estate. The map has been based on an old one and needed changing some of the layout as the gardens have changed with time. It is a watercolour pencil drawing on a watercolour card, A1 in size.